Did you know there is a very high likelihood that a child close to you will be diagnosed with autism? A California Department of Education study found that about 1 percent of all children enrolled in the state’s public schools are diagnosed with autism. Orange County has the highest rate, with 1.5 percent; one child in 63 has been diagnosed with autism and is receiving special education services. While many treatments and therapies are available for our children on the autism spectrum, there is no cure. Some children will grow up and live as independent adults, while others may need physical and financial care during their entire lifetime. As a special needs attorney, I meet with parents everyday who don’t know if their child will eventually become an independent adult. They also worry about who will be there for their child and care for them if anything should happen to the parents. 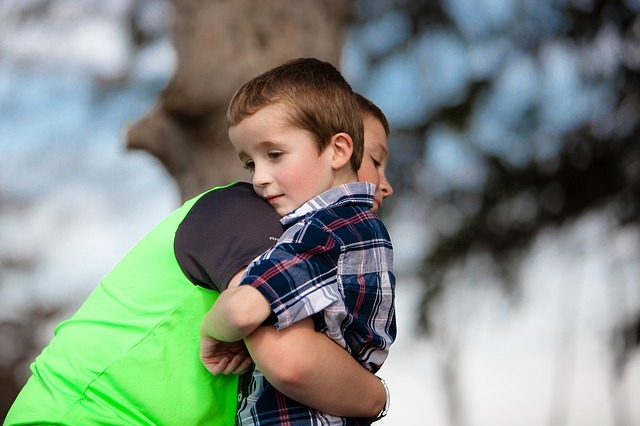 While the prognosis for a child with autism may be uncertain, parents can still take control to ensure their child will reach their full potential, and be fully taken care of when the parent is no longer able to care for them. This can be accomplished by creating a long-term plan that goes beyond just the physical needs of the child, and fully addresses their financial and legal needs. Parents who have a child with autism should consult with a trusted advisor who can help them determine how much money they need to set aside to help fund their child’s care, especially if that need will continue into adulthood. They also need to understand what financial resources are available for care beyond their health insurance. There are important government benefits, such as IHSS, that can help with care costs while a child is young. And once a child with autism reaches 18, they may be eligible for SSI if they cannot live independently. While a child is young, parents should complete legal paperwork appointing someone who can raise their child if anything happens to the parent. They should also ensure the child’s health care history is adequately documented so there would not be a disruption to the child’s services if a parent passes away. Many parents don’t realize that once their child is eighteen, the law presumes that their child can live independently and manage their day to day lives. Parents can no longer make their child’s legal, financial, or physical care decisions unless they go through a court process known as a conservatorship, that grants the parents the authority to continue managing their child's life. Parents also should consider establishing a special needs trust, that will allow the parents to continue to provide their child financial support, without that inadvertently disqualifying their child from important government benefits. It also ensures the child will be taken care of financially after a parent passes away. Addressing the long-term financial and legal needs for a child with autism can seem overwhelming, especially on top of the daily care a parent is providing. But that’s where we can help. As your trusted family special needs attorney we can help your family establish a financial and legal plan that can bring you a tremendous sense of relief. We want you to feel the same relief that Mark B. felt when he established a plan for his child with a special need. We warmly invite you to call Bonnie Johnson at our office at (949) 718-0420 to talk us about how we can assist your family and provide you peace of mind. Or click here and fill out our simple form and she'll call you!